Manak was the youngest in his class and was called "Manaka" by his classmates and friends. He completed his matriculation from the village school, where he was a keen hockey player. He had an inclination towards singing from a very young age and was persuaded by his teachers to sing and perform on stage. In 1968, at only 17 years of age, he was given the chance to sing with 'Seema', a very popular singer of that period. He is married to Sarabjeet and has two children, a son Yuhdhvir Manak and a daughter Shakti. Yudhvir is *trying* to follow his father's footsteps as an up-and-coming singer from Punjab. Manak left Bhatinda and went to Ludhiana to pursue his career as a singer. He started singing with the famous duo Harcharan Grewal and Seema. When they came to Delhi, a music company official spotted Manak and asked him to record the song Jija Akhian Na Maar Vemain Kal Di Kuri (written by Babu Singh Maan Mararawale) with Seema. 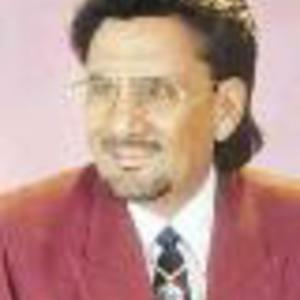 His first record features this song along with Laung Karaa Mitran, Machli Paunge Maape (written by Gurdev Singh Mann). This record was a runaway success. He started an office at Bhatinda along with writer Dilip Singh Sidhu, but did not stay there for long and returned to Ludhiana. The famous writer Hardev Dilgir (also known as Dev Thrikewala) spotted Manak at one of his live performances and penned Lok Gathava (English: Old Stories) for him. His first EP, Teri Khatir Heere, was released by HMV. In 1978 his first LP was released. It included the songs Tere Tilley Ton, Chheti Kar Sarwan Bachaa and Ghar Mukiave Dee Naara. Further albums included Saahibaan Da Tarla, Ichharan Dhaahaan Mardee and Saahibaan Bani Bhraawaan Dee.